Calling all young families, this is the place for you, kids are well taken care of with Outrigger's Mei Mei Nanny program, with personalised care for 8 hours a day , for 4 days, best of all it’s the same nanny so the really get to know them. 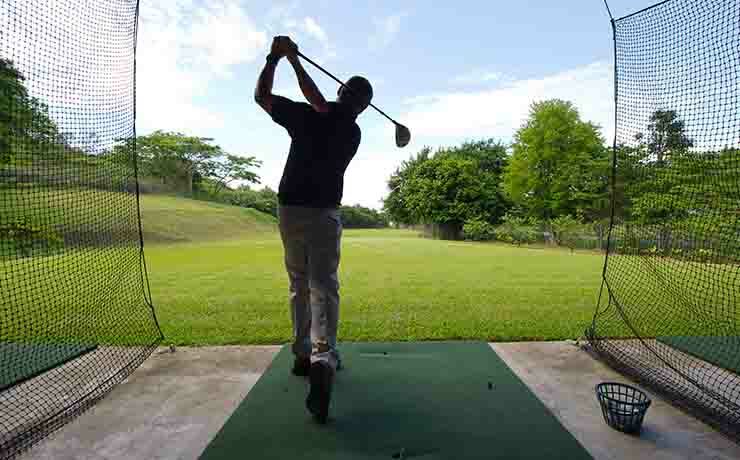 For some family time visit the Kula Wild Adventure park, a short walk or golf buggy trip where waterslides, zip rails and animal encounters are there to enjoy. Then its time to chill and re-charge there's plenty of adult only areas for you to escape including the adults only pool or head to the Bebe Spa for an indulgent treatment or book a romantic dinner at their signature Ivi Restaurant. 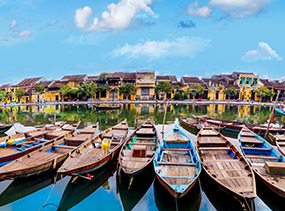 Advertised price valid for travel 01 - 30 Nov 19 & 01 Feb - 31 Mar 20, add from $100pp for 01 Aug - 14 Sep 19, subject to availability. Limited seats are available on some departure dates. 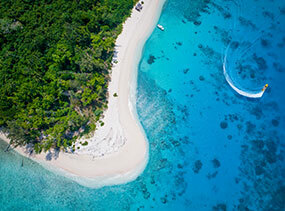 Fiji's Coral Coast screams laid-back luxury, and no resort exemplifies this better than Outrigger Fiji Beach Resort. Set against a 40 acre tropical garden with sweeping ocean views, this is one holiday resort you'll never want to leave. 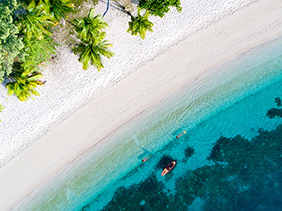 The Outrigger is located on the island of Viti Levu in the heart of the Coral Coast, with a white sand beach and soaring palm trees setting the scene for pure pacific magic. It's the first of Fiji's resorts to officially be given a five-star rating, and its unique Fijian design reflects this. 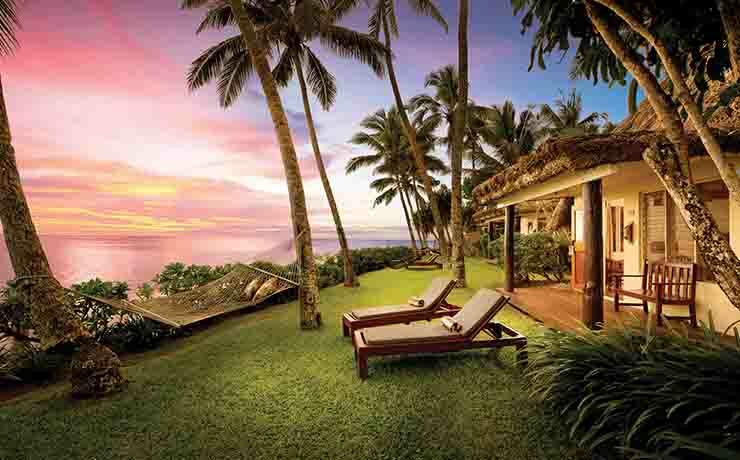 Modelled around a Fijian village, Outrigger Fiji Beach Resort showcases the best of the South Pacific. The hotel rooms and bures are modern and air conditioned with full guest amenities, and many rooms and suites come complete with the Outrigger's signature Talai service. This is a traditional butler service with a South Pacific twist, delivering complimentary arrival drinks along with champagne and canapes to rooms every day. Kids will love the tropical swimming pool, and parents will love the Meimei nanny service and supervised kids and teens activities. This makes the Outrigger the perfect place to bring the whole clan, as you can drop the little ones off to play while you sneak in a drink and a swim. 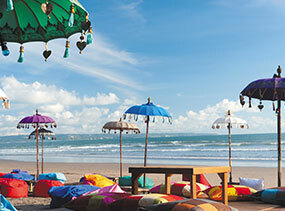 The resort is well set up for those celebrating romantic occasions, and can even cater to wedding parties. It comes complete with a hilltop wedding chapel and award-winning restaurants perfect for post-nuptial dining. Families and couples alike will love the resort, and solo travellers will also find plenty here to enjoy. 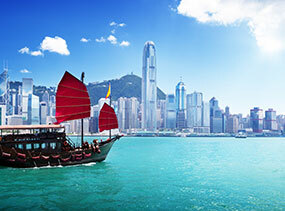 There are rooms and suites to suit every budget and travel group, so be sure to ask if you've got special requirements. 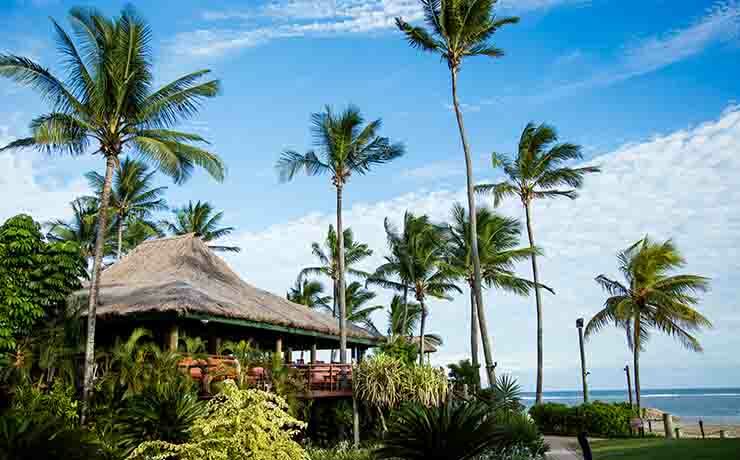 Situated in the heart of Fijian's Coral Coast on the island of Viti Levu, the resort is set on a white sand beach, amongst 40 acres of tall palms and lush tropical landscaped gardens. 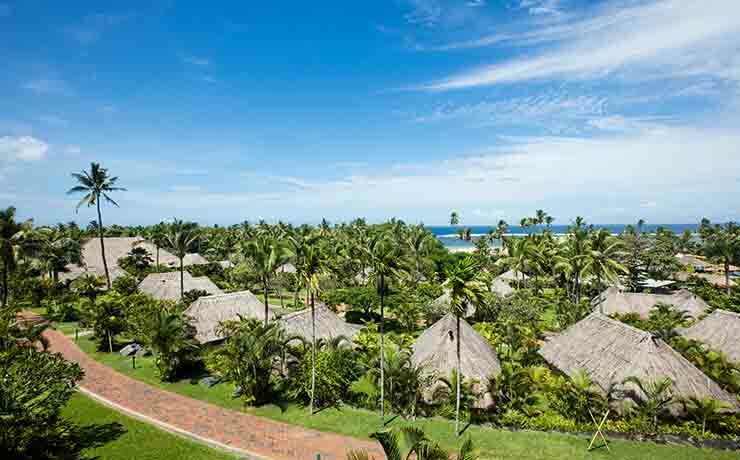 Outrigger Fiji Beach Resort is located only an hour from Nadi. The resort facilities are second to none, with an extensive range of activities available to cater for any resort experience. The resort boasts one of the largest swimming pools in the South Pacific, a separate adults pool as well as an international standard golf training facility, and a complimentary 24 hour fitness centre. Extensive water activities include complimentary use of kayaks and snorkelling equipment, water and lawn volleyball and aerobics and even PADI dive operation which provides PADI-certified scuba diving lessons and equipment. If you're looking for an escape, the indulgent Bebe Spa will cocoon you in energizing health and well being. The world class Bebe Spa Sanctuary features 8 treatment rooms, a beauty centre and health bar, all located on top of a mountain ridge with breathtaking views. Enjoy signature treatments and a full menu of therapies which utilise traditional Fijian healing techniques. There are 2 terrific Kids Clubs, as well as a 24 hour childcare service. 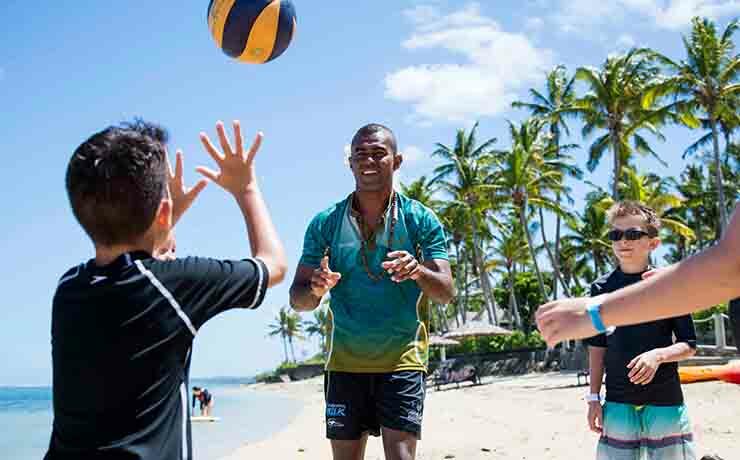 The fantastic complimentary Kids Club includes the Little Riggers and Beach Riggers program, and welcomes the resorts younger guests from 3-12 years old to a full day of activities from water polo to fun Fijian games which will keep them busy all day! At the Outrigger Fiji Beach Resort there is something to suit guests of all ages. At the Outrigger Fiji Beach Resort there is a dining experience for every traveller to enjoy. The resort features award winning dining options where guests can choose from 4 unique restaurants and 5 cocktail lounges and bars, while enjoying live entertainment and strolling Fijian serenade musicians. Enjoy an evening at the Ivi Restaurant, which offers an intimate plantation-style setting and contemporary international dishes with Pacific influences. Meke and Lovo (Fijian Dance and Feast) allows guests to experience a buffet of Fijian specialties, and traditional songs and Meke dances performed by the talented men and women from neighbouring villages. Or why not experience innovative Fijian a-la carte cuisine amidst beautiful traditional Fijian architecture at Vale Ni Kana. For Fijian's best pizza's try the Sundowner Pizza Bar & Restaurant, not only awesome pizza's but the views over South Pacific are mesmerising. With 5 exotic bars and cocktail lounges, you can enjoy a thirst quenching beverage by the pool at lunch or sip a cocktail at sunset from the deck of a traditional Fijian bure on the beach. Outrigger Fiji Beach Resort offers a paradise of cuisine options. 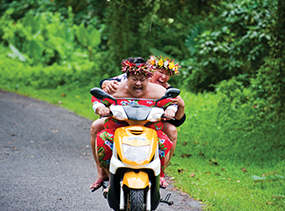 Discover the true Fijian culture with an exciting array of traditional Fijian entertainment. 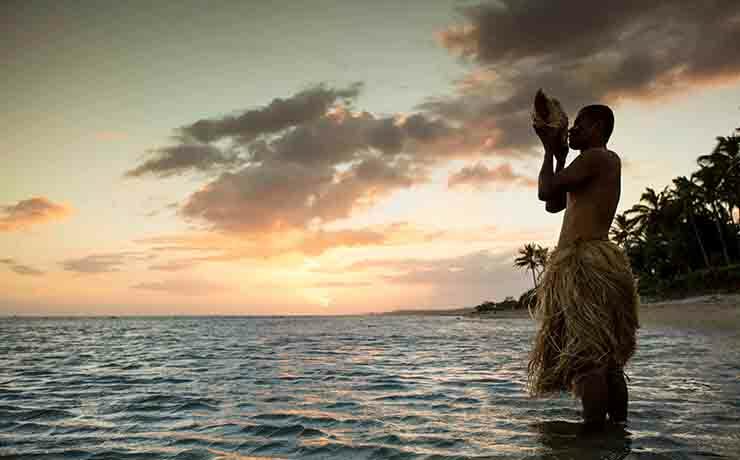 Outrigger Fiji Beach Resort allows guests to experience rarely seen traditional Fijian fire walking ceremonies performed on-site by the Beqa Fire Walkers, as well as traditional torch lighting ceremonies and daily kava ceremonies. 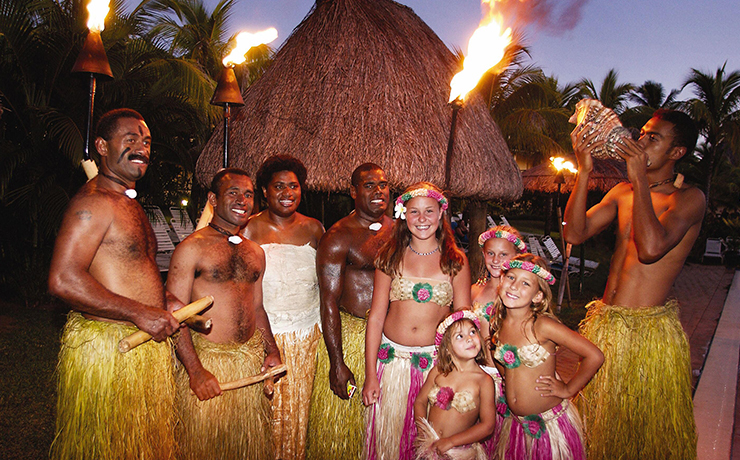 Other cultural activities include Fijian dance and choir to ensure guests experience the traditional 'Bula' way of life. 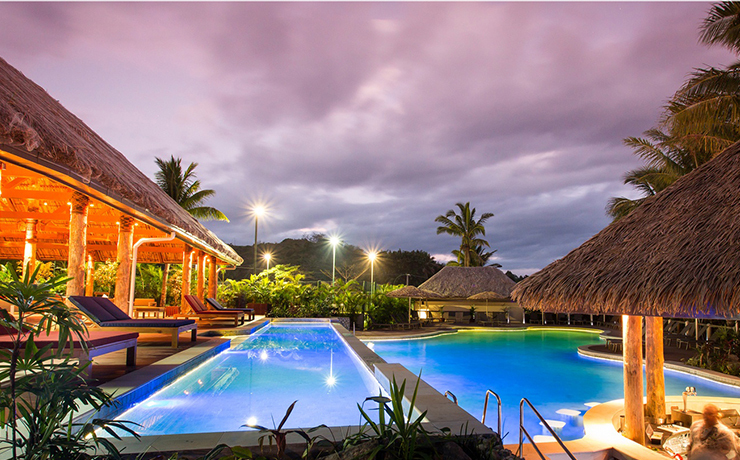 Whether enjoy traditional Fijian cultural activities, exciting leisure activities, or simply laying by the exquisite pool, at Outrigger Fiji Beach Resort entertainment is never far away. Outrigger Fiji Beach Resort offers some of the most luxurious accommodation in the South Pacific. Choose from one of the 207 deluxe modern air-conditioned rooms with private balconies offering sweeping ocean views. Or indulge in one of 47 traditionally designed thatched air-conditioned bures (bungalows) which feature exquisite architecture showcasing hand-carved native woods and hand-painted masi barkcloth, providing the ultimate pacific paradise. All rooms and bures feature colour satellite TV (plus 'pay per view' movies), refrigerator, tea/coffee making facilities, robes, in-room safe, 24 hour room service and balconies or patios. Guests staying in a Deluxe Ocean View room, Suites or Bures will also experience the 'Talai' (butler) VIP service which includes; welcome drinks, personalised guest services and complimentary champagne and canapes personally delivered to your bure every afternoon. Outrigger Fiji Beach Resort is the recipient of the Fiji Tourism Award for Best Deluxe Accommodation in Fiji so you can be rest assured that you are experiencing luxury nothing short of the best. The room features include air-conditioning, a balcony (with an ocean view), Plasma flat screen TVs with satellite channels, pay per view movies, Play Station games, 24 hour food and beverage service, robes, tea/coffee makers, refrigerators, in-room safes, hair dryers, broadband & wireless internet. Room size 47sqm. For guests staying in this room type they will also receive (free) the 'Talai' (butler) VIP service, some of the inclusions that the 'Talai' service will offer include; welcome drinks, and complimentary daily champagne and canapes. The traditional Fijian thatched bures that are located within the resort's manicured grounds include A/C, a patio/deck, the 'chair in the air' hammock, Plasma flat screen TV's with satellite channels, pay per view movies, Play Station games, 24 hour food and beverage service, robes, tea/coffee makers, refrigerators, in-room safes, hair dryers, broadband & wireless internet. 50sqm in size. For guests staying in this bure type they will also receive (free) the 'Talai' (butler) VIP service, some of the inclusions that the 'Talai' service will offer include; welcome drinks, and complimentary daily champagne and canapes. These suites features separate lounge and bedroom - incl A/C, a balcony (with a view), Plasma flat screen TV's with satellite channels, pay per view movies, Play Station games, 24 hour food and bev, robes, tea/coffee makers, refrigerators, in-room safes, hair dryers, broadband & wireless internet. Room size 87sqm. For guests staying in this suite type they will also receive (free) the 'Talai' (butler) VIP service, some of the inclusions that the 'Talai' service will offer include; welcome drinks, and complimentary daily champagne and canapes. These traditional Fijian thatched bures are located on the beach front with unobstructed views over the blue Pacific Ocean, they include A/C, a patio/deck, the 'chair in the air' hammock, Plasma flat screen TV's with satellite channels, pay per view movies, Play Station games, 24 hour food and beverage service, robes, tea/coffee makers, refrigerators, in-room safes, hair dryers, broadband & wireless internet. 50sqm in size. For guests staying in this bure type they will also receive (free) the 'Talai' (butler) VIP service, some of the inclusions that the 'Talai' service will offer include; welcome drinks, and complimentary daily champagne and canapes. The bures include 2 separate bedrooms and interconnecting room, ideal for families. A/C, 2 x patio/decks, 2 x 'chair in the air' hammock, 2 x Plasma flat screen TV's with satellite channels, pay per view movies, Play Station games, 24 hour F & B, robes, tea/coffee makers, refrigerators, in-room safes, hair dryers, broadband & wireless internet. 115sqm in size. For guests staying in this bure type they will also receive (free) the 'Talai' (butler) VIP service, some of the inclusions that the 'Talai' service will offer include; welcome drinks, and complimentary daily champagne and canapes. Outrigger Fiji Beach Resort caters for children with a terrific 'Little Riggers' and 'Beach Riggers' Kids Club program for 3-12 yrs to keep them entertained all day long. Children under 13 stay and eat free (minimum 4 nights, max. 2 kids per room or bure and must share room with parents). Meimei Nanny Service - a nanny service which provides holidaying parents with affordable child care eight hours a day. The Meimei Nanny Service is unique to the resort and is available in a package which gives children (aged 2 to 12) four consecutive days of personalized care for up to eight hours a day for $330 Fijian or AUD$234. Honeymoon at Outrigger Fiji Beach Resort and get cosy in a deluxe hotel room or romantic bure bungalow with complimentary his and hers sulus and a locally produced Fijian gift memento from the resort. Note: Guests must notify resort at time of booking. Imagine your wedding in a lush tropical garden beneath swaying palms or on the beach with the blue Pacific at your feet. 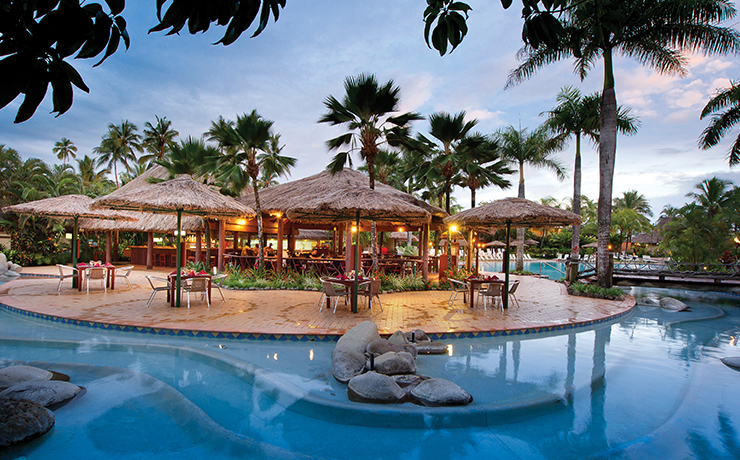 Outrigger Fiji Beach Resort offers these idyllic settings to create perfect memories. 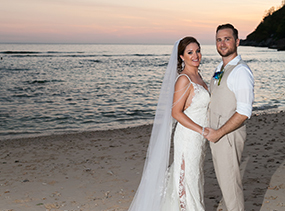 We can arrange a beautiful floral ceremony on white sandy beach in a tropical garden on at our stunning hill top chapel. The Bure Ni Loloma wedding chapel is situated on a lovely hill top above the resort. 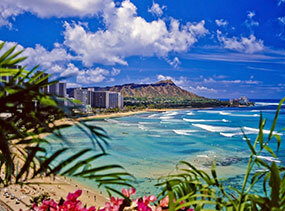 40km sweeping views of the blue Pacific Ocean create a dramatic backdrop for your ceremony. Choose between the Bure Ni Loloma Wedding Package, the Garden Wedding Package, the Dream Wedding Package or the Vow Renewal Package. Packages include features such as a Wedding Co-ordinator for personalised planning, floral bouquets and arrangement, wedding cake, serenaders and wedding reception etc. 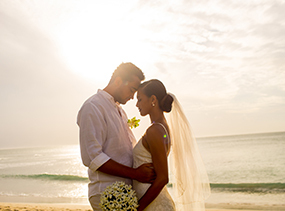 Let Outrigger Fiji Beach Resort help you create your dream romantic island.ave.